Both a personal and a political manifesto, this book analyzes the use of natural resources, with thorough citation. In Reclaiming the Commons for the Common Good, Canadian author and activist Heather Menzies examines the idea of commons, the traditional ways of communities sharing land and other goods for collective benefit. 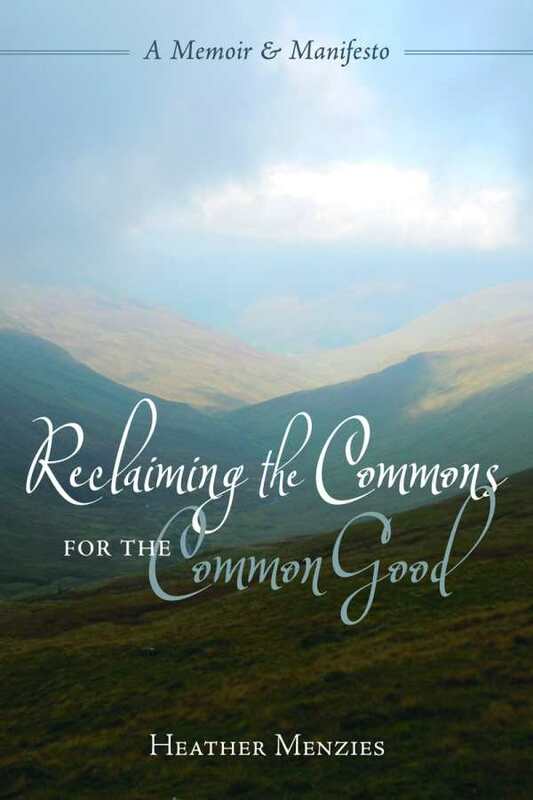 The book is divided into two sections: reflections on how a trip to her ancestral land of Scotland (and other experiences) made the author consider the idea of commons, and a manifesto for how people can act locally to bring the value of commons back into their own lives. Menzies effectively describes how the idea of commons has changed, not only in the sense of communal land being taken away but in the ways technology and globalization divide people from one another. She argues that the increasingly disconnected societies that have developed over time are unnatural, contrasting them with the collective approach of her family’s Scotch ancestors as well as First Nations collectives in Canada and social movements throughout the world. In the second half of the book, Menzies talks about how global problems that affect everyone—from climate change to the fair use of natural resources—could be mitigated by a more commons-focused approach by nations and global movements. At times, the book has a tendency to tell rather than show, with the prose often citing other important works or organizations (or in some cases, the author’s previous work) without providing much information beyond a citation. This sometimes makes the Reclaiming the Commons feel like an academic work, even though its message is more important for a general audience. The book works best when it considers specifics, looking at examples of organizations or groups of people that correctly approach the idea of commons—whether developing community gardens to feed the disadvantaged or enforcing ethical-production policies when purchasing goods and services to keep those practices sustainable. The author also talks about the commons-focused organizations to which she belongs, and about how they operate. When she details her firsthand experiences, Menzies has a poetic writing style that reinforces the simple beauty of the approach she advocates and shows how everyday experiences can demonstrate its advantages. A more sustainable world is a noble goal, and this book does a nice job of looking at how many ways the world has moved away from that important idea.